Louisiana, May 29 (AFP) – BP's "top kill" operation to plug the ruptured well in the Gulf of Mexico has failed, the energy giant said, in a stunning setback to efforts to stem the worst oil spill in US history. BP and federal authorities said they are now turning to a new strategy to stop the leak, but it will take at least four to seven days before it can be put into place. "After three full days of attempting 'top kill,' we have been unable to overcome the flow from the well, so we now believe it's time to move on to the next of our options," BP Chief Operations Officer Doug Suttles told a press briefing. President Barack Obama called the developments "enraging" and "heartbreaking." "We don't know that for certain," he said, adding that "we were unable to sustainably overcome the flow." The announcement marks the latest failure for BP, which despite a series of high-tech operations over the past month has appeared powerless to bring the disaster to heel since an explosion on the BP-leased Deepwater Horizon oil rig April 20 which killed eleven workers. The rig sank two days later. "Obviously, we're very disappointed in today's announcement and I know all of you are anxious to see this well secured," US Coast Guard Rear Admiral Mary Landry told the briefing. "It's been our number one goal since day one, but we also want to assure you we've had a very, very aggressive response posture and we're going to continue to do so," she said. BP and the Coast Guard said it would take four to seven days before the contraption -- dubbed the "Lower Marine Riser Package," or LMRP -- can be put in place. BP chief executive Tony Hayward said he was "disappointed" in the operation's failure but stressed that company officials "remain committed to doing everything we can to make this situation right." Obama said he would triple the number of workers clearing up soiled beaches, after he saw the effects of the spill up close, picking up and examining tar balls that washed ashore in Louisiana. "I'm here to tell you that you're not alone. You will not be abandoned. You will not be left behind," he promised to local residents. 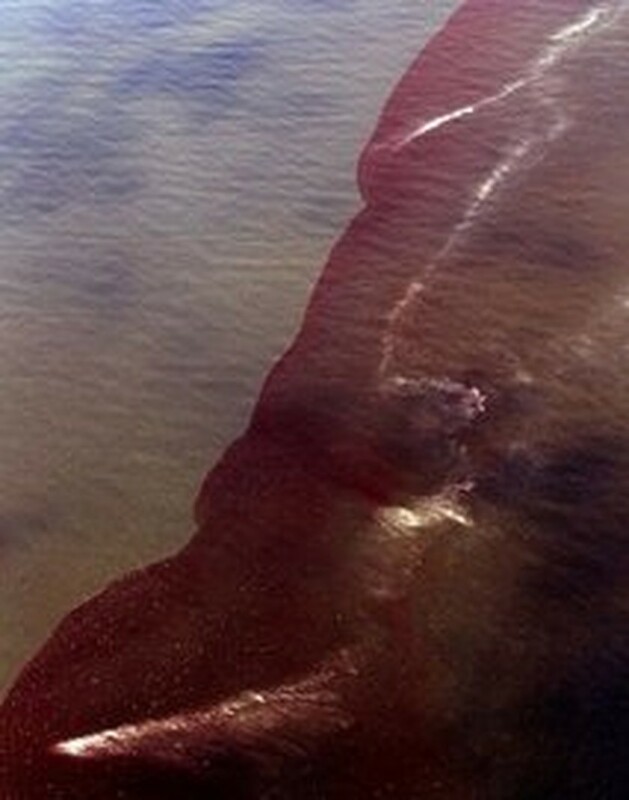 Since the oil spill began, an estimated 12,000 to 19,000 barrels of crude have been gushing into the Gulf each day. The disaster has already closed stretches of coastal fishing waters, endangering the seafood industry and tourism businesses, and threatening a catastrophe for Louisiana marshes, home to many rare species. Landry said Saturday that the Coast Guard would continue to use subsea dispersants, chemicals which help break up the crude into droplets that can evaporate or biodegrade more quickly, but which critics say could be a health hazard. On Saturday, Louisiana state officials called on BP to create a 300-million-dollar fund to mitigate the immediate and long-term impact of the spill on businesses and local residents. State agencies also sent a letter to the British oil giant seeking another 457 million dollars to fund a 20-year seafood safety plan, warning that "the future of this industry is in peril."